Ron Howard has done it again! 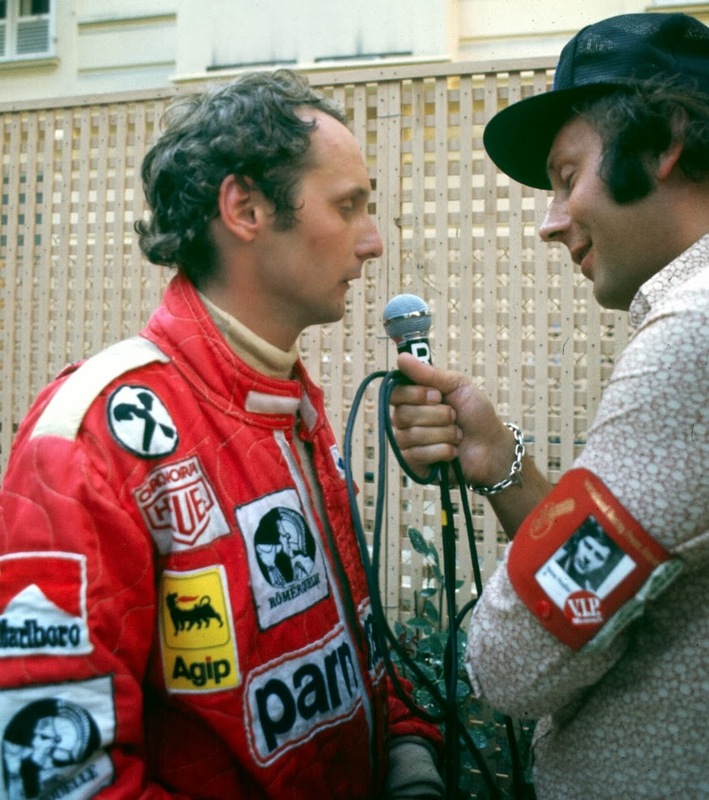 This is not only the best drama film based on motor racing that has ever been produced, but it is equally the best feature film based on Formula One racing. This is especially so because the Director, Ron Howard is not familiar with F1. However, the film is equally a triumph for the writer of the screenplay, Peter Morgan. The words are sensible, the scenes are logical and the story development very intelligent. 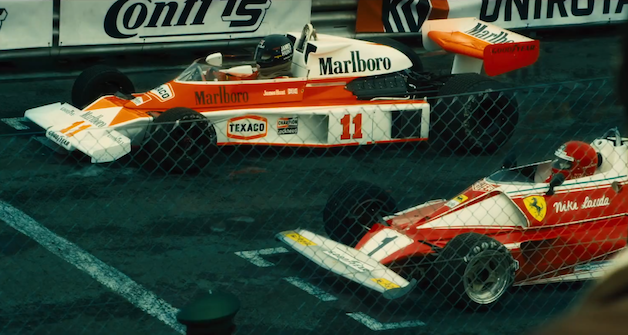 Don't miss this film if you're an F1 fan, F1 history buff, or even if you just want to see a well-crafted action-drama-documentary. The film is entertaining, engrossing and full of incredible motor racing action scenes, and the 'new' driving sequences are very, very good. 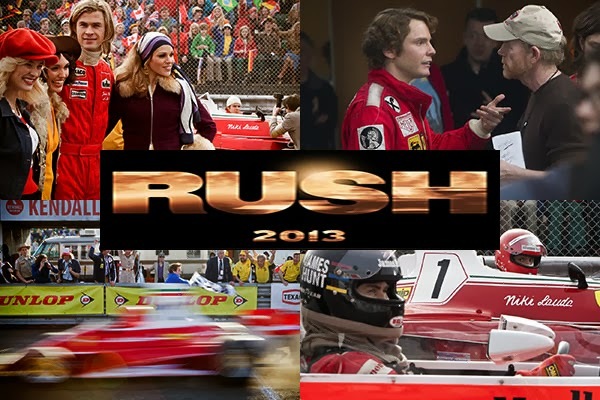 Whilst Australian actor, Chris Hemsworth, is excellent as James Hunt, I think Daniel Brühl should be nominated for an Oscar - his portrayal of Niki Lauda is outstanding. A great piece of character acting. Hemsworth and Brühl participated in many of the driving sequences, but here we should pay tribute to the Film Editor Daniel Hanley. The blending of the new footage with historic footage, and action sequences is exceptional. Overall, this is everything a good movie should be. Sensible writing, accurate depictions of real events, well-crafted dramatic scenes, fast-paced and intelligent action scenes and top-notch acting. Go see it. I was personally thrilled that the film dwelt on the 1976 Monaco Grand Prix, which I was privileged to attend, and take some historic photos, including the winner, Lauda, being interviewed, post-race. 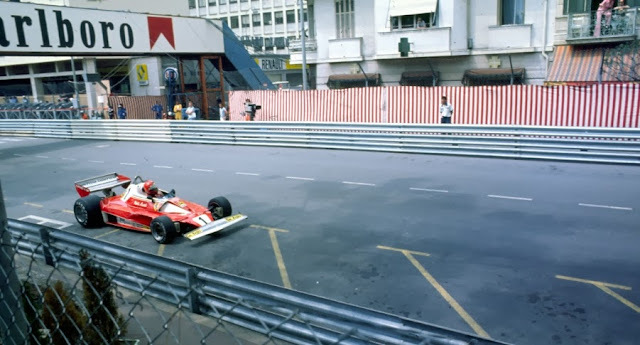 At race start Lauda got away cleanly, with Hunt second. 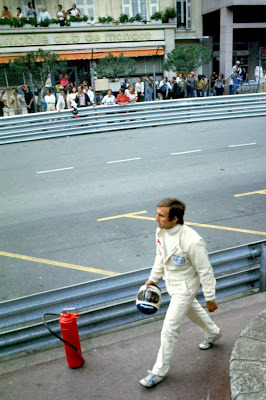 Carlos Reutemann did not last one lap, retiring his Brabham Alfa after an accident at St. Devote and then just a short walk back to the pits. James Hunt's engine expired on Lap 24, and I snapped a disconsolate Hunt trudging back to the pits around the harbour. Lauda won, ahead of the two six-wheeled Tyrrells driven by Schekter and Depailler. 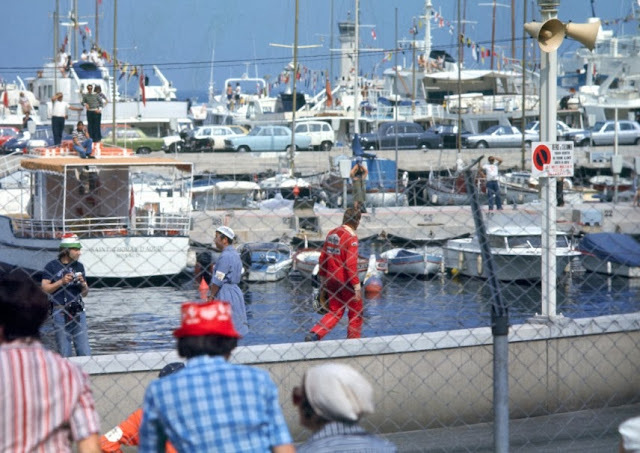 Lauda, post-race in the rear courtyard of the Automobile Club de Monaco, shows the strain of 78 laps around the tight Monaco circuit. 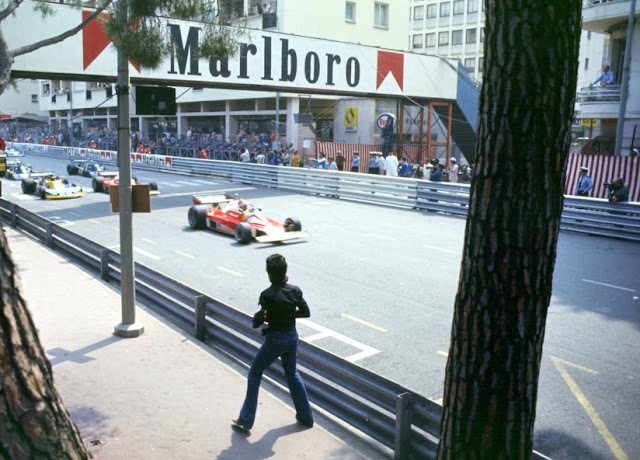 Surprisingly, Australian World Champion, Alan Jones, was exorcised from the final race, the Japanese GP. It was he, whom Hunt had to pass, to qualify as the World Champion for 1976. 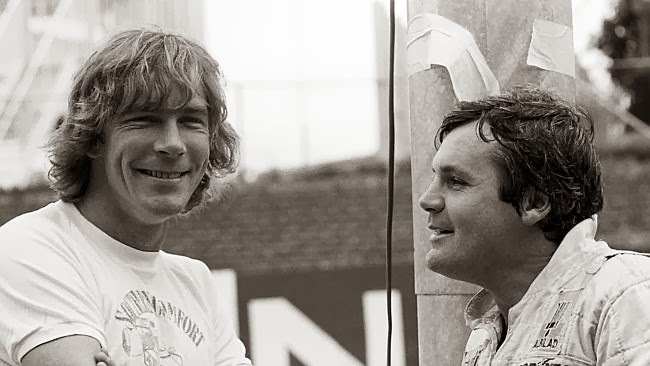 Jones and Hunt were great mates, and whilst Alan recognizes that Hunt was very devil-may-care, he says he was a good guy, and a loyal friend. My own meetings with Hunt during the Australian Grands Prix in Adelaide bear this out. I had many funny moments with him and his entourage of women at our regular Jaguar cocktail parties at the Adelaide Hilton the night after practice.